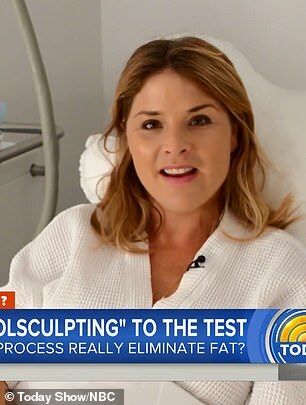 Savannah Guthrie and Jenna Bush Hager revealed on the Today show they put CoolSculpting to the test to see if the cosmetic procedure actually produced results. 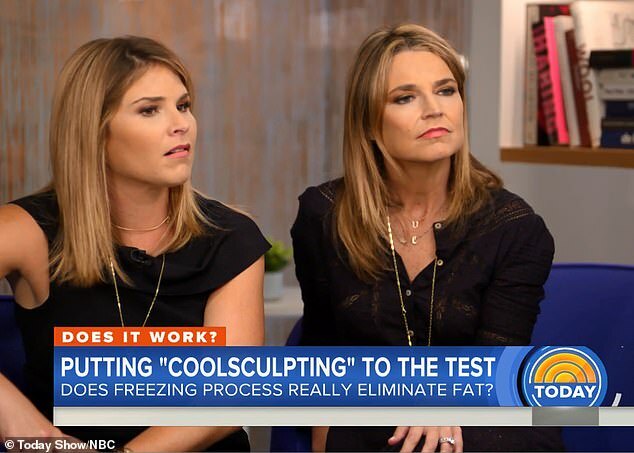 On Monday morning, the two women opened up on the show about their experience with CoolSculpting, an FDA-approved cosmetic procedure which works on fat reduction by cooling specific areas of the body. ‘Savannah and I decided the best way to learn all about it was to try it for ourselves,’ Jenna, 37, said. The pair started the treatments in September to give the results time to work before unveiling to the public. 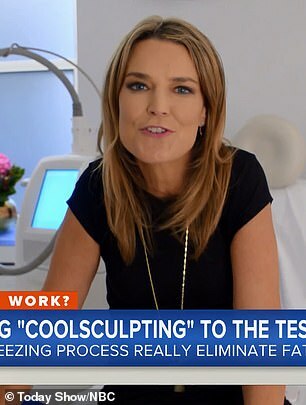 In a video segment with Today, it shows how the women first met with the CoolSculpting team to understand the procedure before trying it out for themselves. 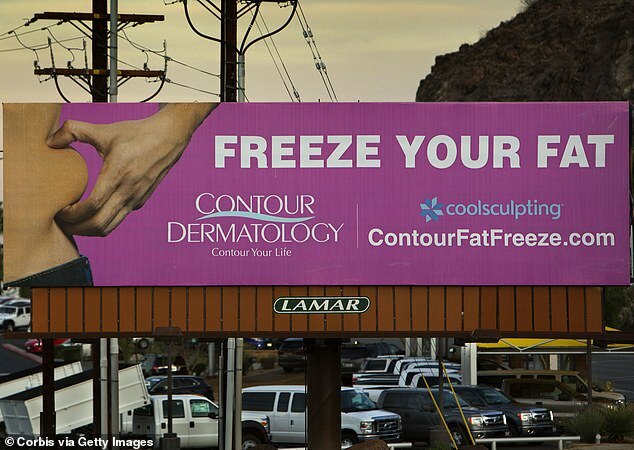 Savannah, 46, asked Laura Dyer, who would be performing the cosmetic procedures on both women, if the fat would eventually come back. But this doesn’t prevent someone from gaining weight ever again. 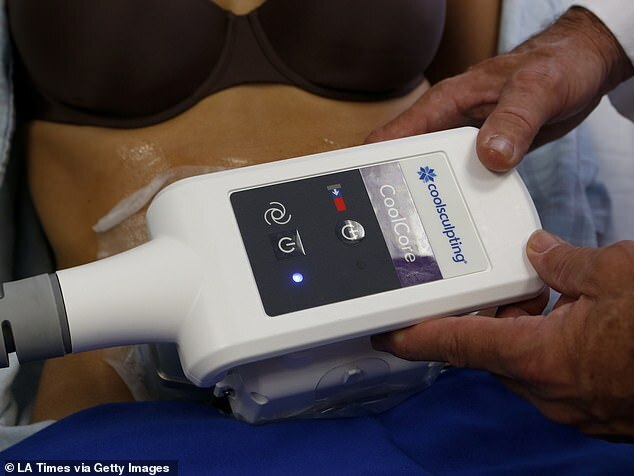 Instead, the treatment reportedly works as a spot area to target pesky sections of the body. Savannah opted to experience the treatment on her arms while Jenna did her stomach. Each application lasts about 35 minutes, Savannah explained. But it comes with a hefty price tag for anyone wanting to try the procedure for themselves. For Savannah’s procedure, she underwent three treatments along her arms and it cost a total of $5,850. Jenna, on the other hand, did two treatments of multiple areas along her stomach and it cost an astounding $7,800. All costs were paid for by NBC News, Savannah said. The end of the segment was when Jenna and Savannah did the big reveal to audience members and their co-anchors on if the procedure actually worked, but they appeared lukewarm about the results. ‘Never say we’re vain,’ Savannah joked with everyone before showing before and after pictures from the procedures. 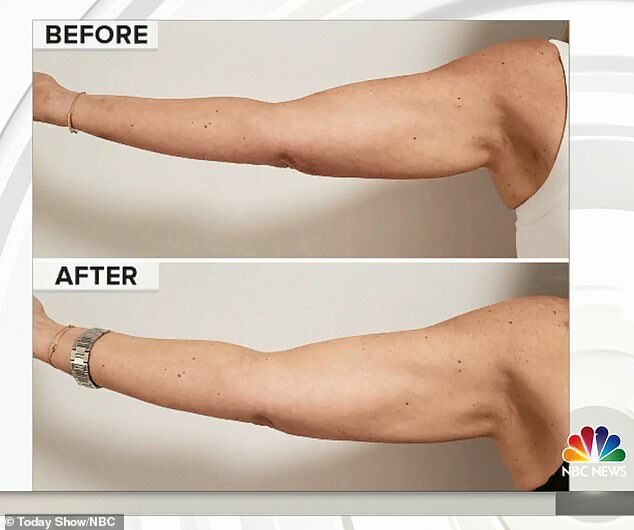 First, the show revealed Savannah’s arms and how they looked after first starting the procedure in September. Savannah lacked enthusiasm about the results despite the pictures showing some more definition in the arms. 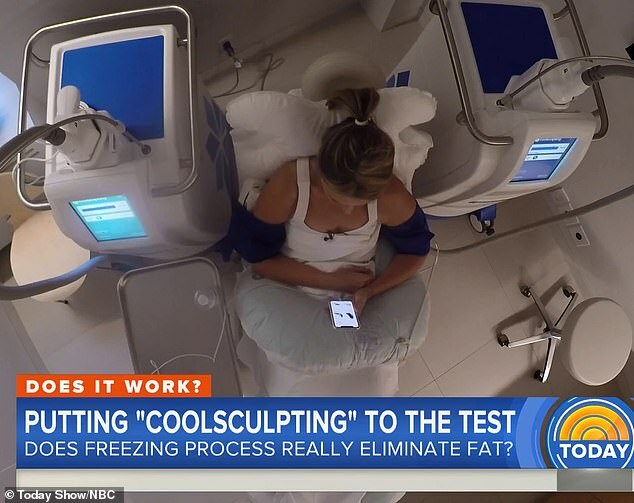 Then it was revealed how CoolSculpting helped Jenna’s area around her stomach. 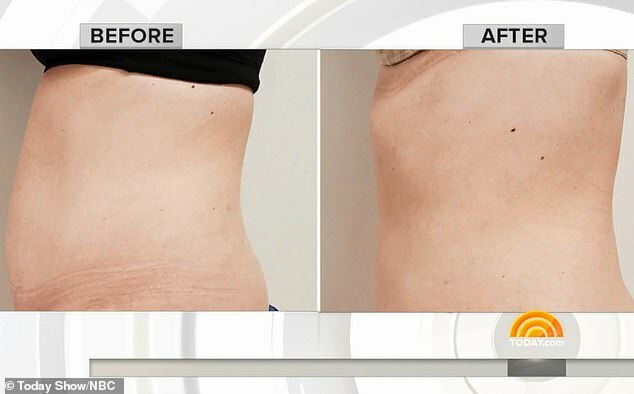 The side view picture of her stomach shows how the procedure appeared to eliminate fat around her waist. It remains unclear if the women would utilize the cosmetic procedure in the future to target areas on the body.